In this section, you can find data in interactive and easy to understand visualisations. Build insights on your work using our analysis, explore the larger patterns the data reveals, and share the knowledge available at your fingertips to start discussions within your networks. 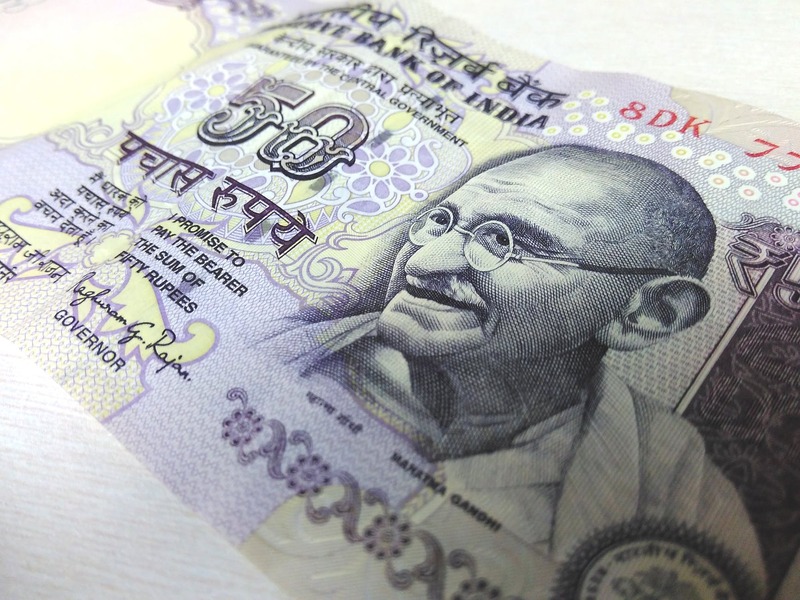 In his Budget 2018 speech, the Finance Minister emphasised how Direct Benefit Transfers (DBT) have reduced corruption, and delivered services at people’s doorsteps. Take a look at the scale up of DBT. 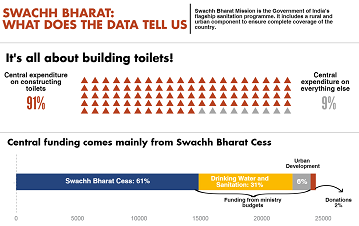 Swachh Bharat Mission: What does the Data Tell Us? 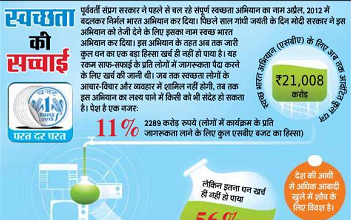 More than 90 per cent of the fund allocation was spent on toilet construction. Here is what the numbers tell us. Take a look at allocations in key social sector ministries and programmes of the Union government. 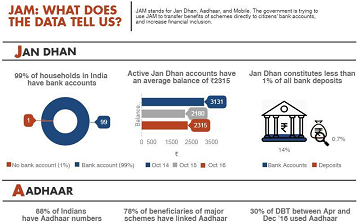 Facts, Figures on Jan Dhan Yojana, Aadhaar and Mobile. Is money on promoting public awareness being spent efficiently? 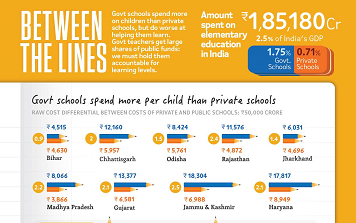 Public schools spend more per child on elementary education than private schools but their learning outcomes are lower. 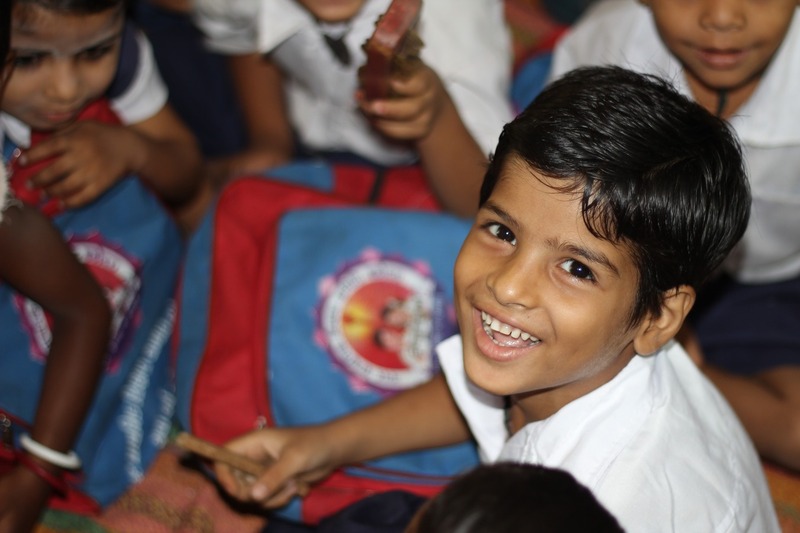 India's elementary education is extremely centralised when it comes to resource allocation and decision making. 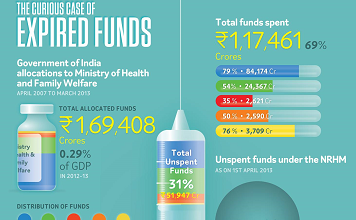 India's health expenditure is low relative even to other developing countries. 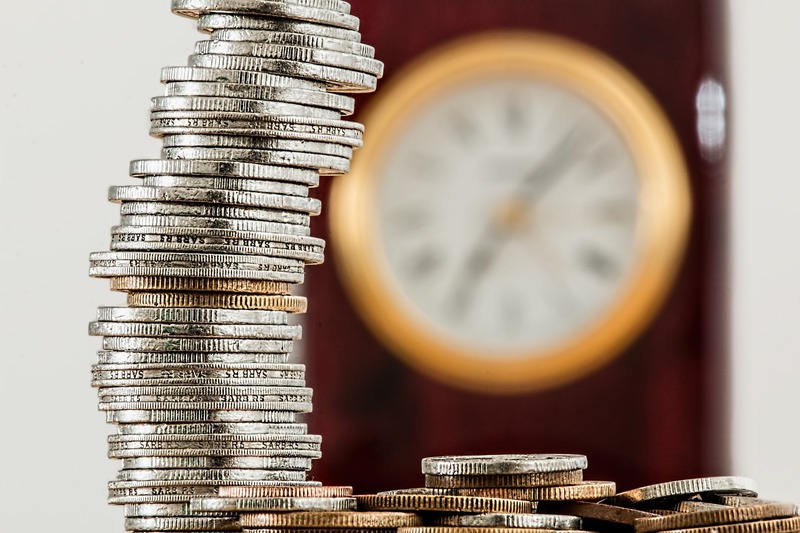 However, even this low allocation often goes unspent.